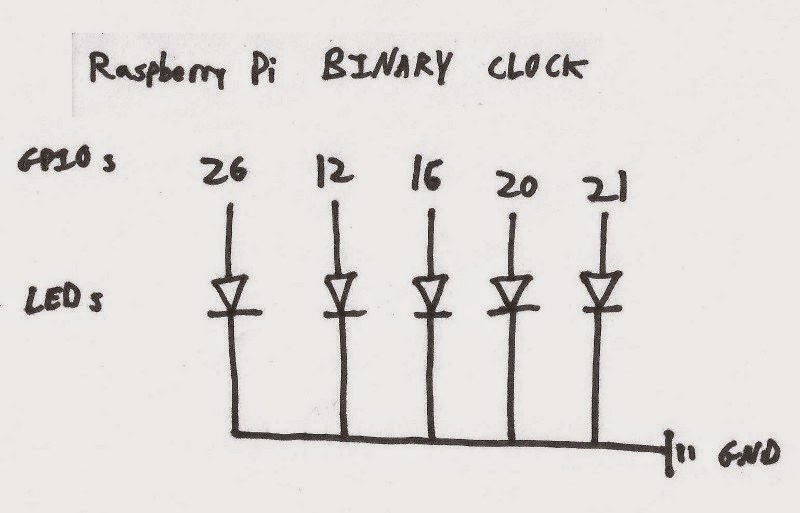 And as promised, here is my exciting, awesome world-changing invention... a Raspberry Pi application which shows the time... in binary! Okay, not that killer, but a simple project demonstrating some wiring, some code, and a visual output. The circuitry itself is dead simple: just five LEDs in a row, with their anodes (+ side, long leg) connected to 5 GPIO pins and their cathodes (- end, short leg) connected to the GND. 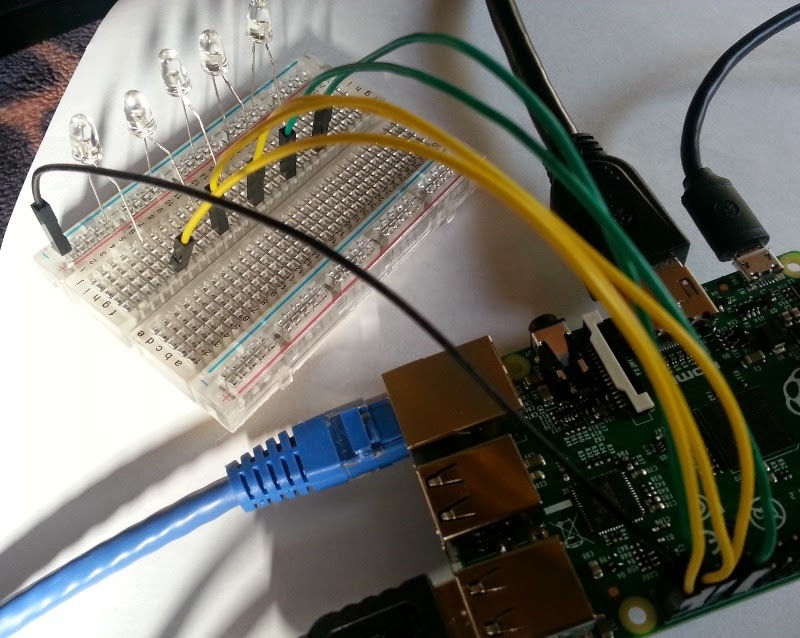 Just pick any five GPIO pins, connect your GND to the breadboard, and insert the LEDs. Here it is, as both a photo and a circuit diagram. The choice of GPIO pins is up to you. I picked the 5 nearest the end of the bank on my B+. Question: Why would I show only the last 5 bits of the time, instead of a nice nerdy number like 8? I didn't have 8 LEDs: I lost a bag of two LEDs and burned out another LED during an experiment, so I only had 5. For yourself, feel free to pack the LEDs more tightly and add a few more. With only 5 bits, it recycles every 32 seconds, but if it has 12 it would recycle every 4096 seconds (68 minutes).